Packing Material: Heat sea lable laminated pouch material, LDPE, virgin films. Chamber size: 450 mm x 450 mm x 200 mm. Air requirement: 4-5 cfm at 6 bar pressure, dry and lubricated. Power: 1.5 Kw, 230 Volt, 1 Phase, 50 Hzs. AC. We are offering Sealing Machine to our clients. 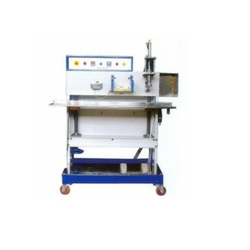 We are leading manufacturer of GAS SEALING MACHINE. To meet variegated demands of our esteemed clients, we are engaged in manufacturing and supplying an exclusive range of Pouch Sealing Machine. 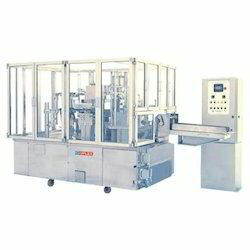 Use :- Pouch Filling Machine is used for packaging of pouches in several industries.